Moroccans are considered to be rather talented when it comes to languages and are also extremely quick to learn. However, the languages spoken in the souks in cities like Marrakech aren’t necessarily the same as the languages spoken throughout the entire country. French is definitely the language to use when travelling on your own in Morocco and is far more common than English or Spanish. It’s also helpful to have a smattering of Darjia. 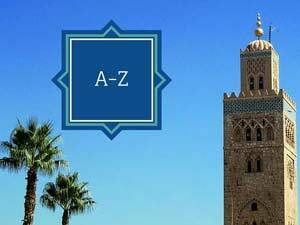 You can find out about this and more in our overview of the language of Morocco. It’s true to say that the language of Morocco is a somewhat complicated matter. The Arabs speak Arabic but not the same Arabic that you’ll hear in Syria, for example. Moroccans speak a Darija dialect. This differs significantly from modern standard Arabic and doesn’t have an awful lot in common ground with the various indigenous Berber languages. Yes, indeed – in Morocco, the Berber languages are widespread. However, Berber speakers can’t always communicate effectively if they speak different Berber dialects. Another point to consider is that the Maghreb has a long colonial history dominated mainly by the French and Spanish. 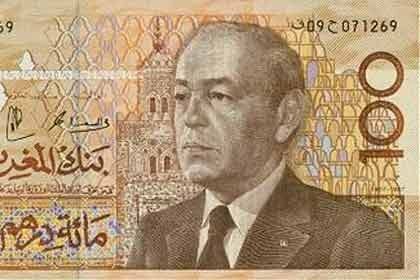 This has significantly influenced the Moroccan language variants you’ll hear today. 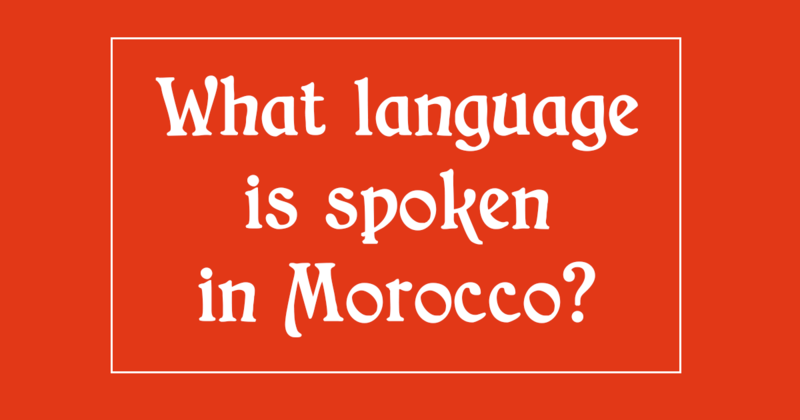 1 What language is spoken in Morocco? 2.1 It may (or may not) be worthwhile learning Darija! In Morocco, there are two official languages: Arabic and Tamazight. Arabic is spoken by about 90% of all Moroccans. Also, about half of the population speak one of the various Berber dialects. When it comes to European languages, French is the most common and Spanish is also spoken a little in some former colonial areas of the Mediterranean and Atlantic coast (for example, the Sidi Ifni and Western Sahara regions). However, on the whole, you’ll find that Spanish is on a par with German in terms of its usefulness in Morocco. You should also be aware that English isn’t spoken as often in Morocco as in other countries. Linguistically, Moroccans are very eloquent and enthusiastic learners. If you’re wandering through the souks of Marrakech, be prepared to be greeted and spoken to in your own mother tongue, whether Polish, English, Japanese or Italian. However, as you start to move away from the touristy areas, things really change. 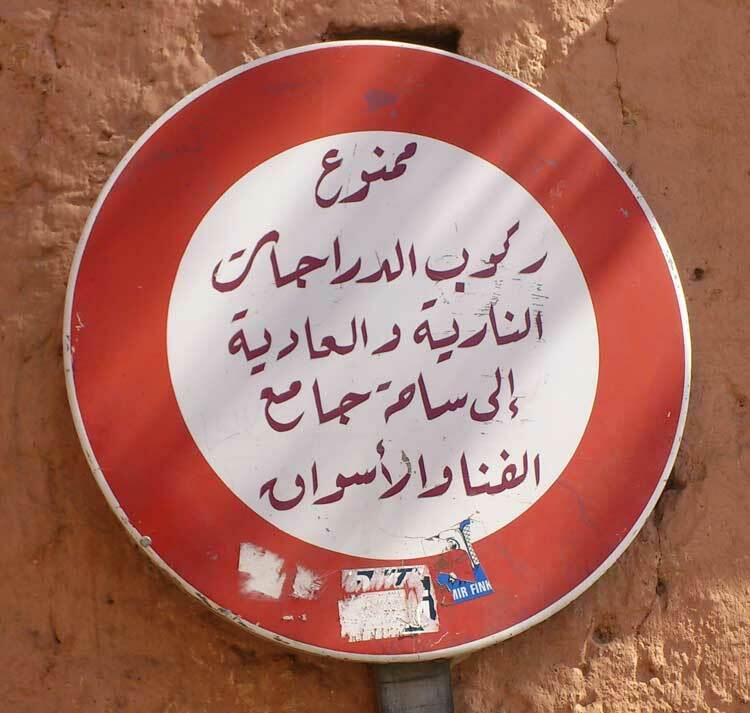 In the more rural communities, French will help you a little and sometimes Arabic is also useful. Arabic is the official major language in Morocco and around 90% of all Moroccans speak it. Arabic is written from right to left using Arabic script rather than the Roman alphabet. The Arabic spoken in Morocco is called Darija. This special form of the language is quite different from standard modern Arabic, which is commonly used in formal, government and administrative dealings. Strictly speaking, Darija is a dialect. It evolved from classical Arabic and took on elements of the indigenous Berber languages. So, in contrast to standard Arabic, Darija has syllables without vowels or even enunciated sounds. Darija is just a part of the innovative way that most Arabic languages have evolved, borrowing words from the Berber languages and snippets from French. 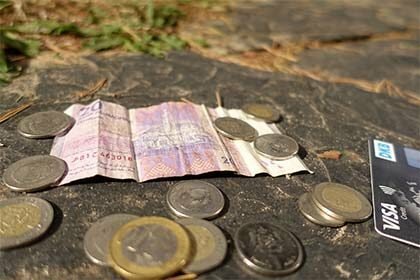 You’ll even come across different forms of Darija within Morocco. If you can speak Darija in Morocco, you’ll certainly find it easier to get along. Unfortunately, it’s fairly difficult for Europeans to grasp well enough to hold a conversation. The Berbers were the first inhabitants of Morocco. Today, they’re known as Amazigh. By and large, the languages of the indigenous people of Morocco have been preserved. To this day, approximately 40% of all Moroccans speak these dialects. There are three main Berber dialects that dominate in Morocco and these differ fundamentally from the Arabic language: Tarifit is spoken in the North, Tamazight in the centre of the country and Taschelhit in the South. Tamazight and Taschelhit are still close enough to one another linguistically for speakers to hold an understandable conversation but Tarifit is very different. In 2011, Tamazight was recognised as an official language and has been taught in schools for many years. 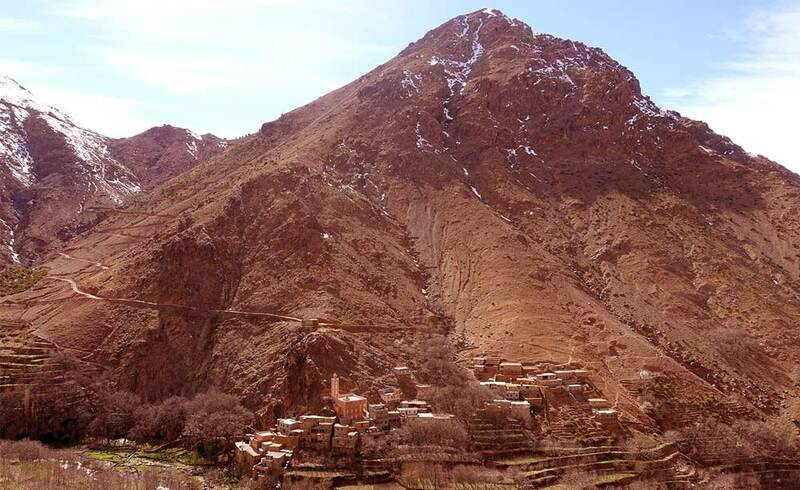 Other Berber languages spoken in Morocco are Tamashek (Tuareg), Senhaja de Srair (in the Rif mountains), Ghomara (Northern Morocco) and the rare Judeo Berber language (in Israel). Today, these don’t have much significance. The written form of the Berber dialects initially developed through the Tuareg script known as Tifinagh. Today, Berber is written in a modified Arabic script and sometimes uses the Latin alphabet. The Berber languages are difficult for Europeans to grasp. Also, the communities where these are spoken are even smaller than those where people speak Darija. So, I wouldn’t advise trying to learn the Berber languages, especially if you’re only going to Morocco on holiday. Since the colonial period, French has been an official major language of Morocco and is taught in schools. 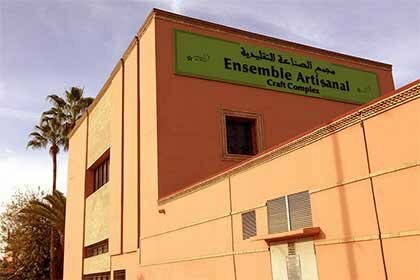 Today, it’s by far the most common European foreign language in Morocco. 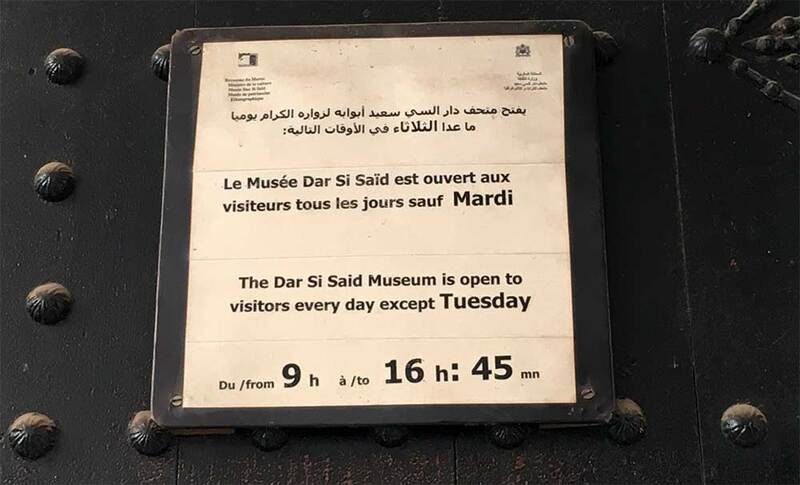 Tourists will see it on most dual-language information notices in museums, which are usually in Arabic and French. Without a doubt, when travelling in Morocco, French is the language of choice. 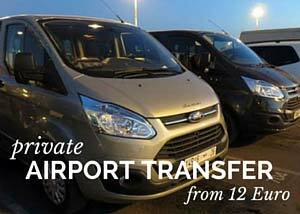 You’ll get along pretty well with French in the cities, as well as in the larger outlying communities. However, it’s a different story in rural or remote areas. Here, the inhabitants tend to only speak one of the Berber dialects plus Arabic. Spanish was also commonplace in Morocco during the colonial period and you’ll meet Moroccans who speak Spanish if you go to the Mediterranean coast and areas near the Atlantic Ocean. You should bear in mind that Spanish is no way near as common as French and there’s really no comparison between the popularity of these two languages in Morocco. 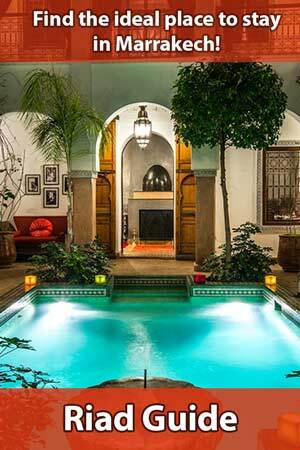 Having said that, in northern Morocco and the coastal areas, Spanish will help you, as it will in the souks of the big cities or on organised tours. French is taught in Moroccan schools as a first foreign language. English is on the curriculum later on in secondary school. Having said that, you’ll find that most hotel and establishment staff, tour guides, drivers and waiters have good basic English skills. If you try to use English for business and outside of the big cities, you won’t necessarily get very far. In museums, there’s little point in looking for information and signs in English. However, if you go on an organised tour with mixed nationalities, English is usually the main language spoken. German won’t really be much use to you in Morocco either. In large Agadir hotels, some employees speak German and while strolling through the Souks, sooner or later you’ll come across former migrant workers who’ve spent time in Germany and will be delighted to regale you of their experiences, speaking a little German to you. Aside from this, the chances of German helping you in Morocco are pretty slim. Arabic isn’t a particularly easy language to learn due to its unusual lettering and alien phonetics. 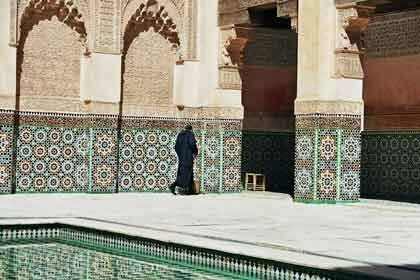 Unless you’re travelling regularly to Morocco, you probably won’t find it worth your while learning Arabic. Usually, it’s better to revive your French skills from school. Another major argument against learning Darija is that this language is only a Moroccan language. Even in Egypt, the sentences you’ve spent so long trying to learn won’t be much use to you. It may (or may not) be worthwhile learning Darija! However, here’s the paradox: It’s sometimes still a pretty good idea to learn at least a little Darija. However, standard Arabic will still help you on business. Be mindful that in Morocco, language skills can open many doors. Dropping the odd phrase into a conversation can be really useful. For example, saying sorry in the national language, interjecting with a ‘no problem’ at the right time, simply giving the appropriate response or saying ‘thank you’ will all bring a smile to most people’s faces. This applies the world over, not just in Morocco. Many Moroccans also appreciate their foreign guests taking an interest in their way of life and trying to understand their culture, approaching it respectfully. Even attempting to speak Arabic is a very positive gesture. Also, you’ll set yourself apart from most other tourists if you make the effort. My Tip: Without any prior knowledge of the language, you’ll need to invest a lot of time in learning Arabic and/or Darija thoroughly. Moreover, these languages will only really help you in Morocco. So, I’d advise putting your efforts into polishing up your French. Learn the numbers from 1 to 1000, as well as phrases for directions and times and a few verbs and nouns to help you on your travels. You’ll find this far more useful than taking a crash course in Arabic. Nevertheless, it’s an excellent idea to learn a couple of phrases of Darija and use these when you’re in Morocco. The first time Europeans hear Arabic, it can sound rather strange and fairly complex. 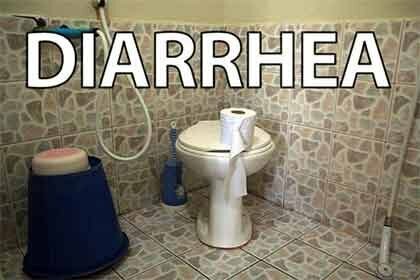 Also, the pronunciation takes a little getting used to. However, with a little practice and a good ear, you’ll be able to learn the Arabic language. Most noteworthy is that writing in Arabic can be difficult. The language uses different characters to the Roman alphabet used by most European languages. However, Darija is written in the Roman alphabet, making it somewhat easier for Europeans to tune in to. If you’re looking to learn Darija, you won’t have much success on the majority of online platforms. It’s easy to see what’s on offer and there are a few useful sites like loecsen.com, which gives you numerous phrases to learn, grouped according to different themes. Most helpful is the audio that accompanies every word and sentence to help you with pronunciation. 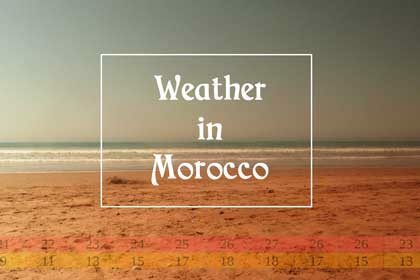 On the Moroccan site Speakmoroccan, you’ll find a few short tutorials with numerous words and phrases. Unfortunately, what’s missing is a good introduction and there’s no audio support to help you with your learning. For Android and iOS devices, you can download a couple of apps that will help you to learn Darija. Essentially, these are free and the smattering of words and phrases are grouped by themes. On the downside, these apps aren’t very effective in terms of teaching tools, especially when compared to programmes like the Babbel language courses, for example. However, Babbel unfortunately doesn’t offer Darija as a language option. Screenshots of both the “Moroccan Accent” and “Moroccan Survival Guide” apps. In conclusion, these apps aren’t really good enough to get to grips with the basics of the language. However, in terms of giving you a little learning support and despite a lack of audio examples, you may find them helpful. You can also learn Darija on YouTube. Type in the keywords “Moroccan Language” and you’ll find multiple channels published by native Moroccan speakers. Unfortunately, the quality of teaching doesn’t really compare to a true language course. However, the videos are still quite good and give you the chance to listen to native speakers and get a feel for pronunciation. MaroWeltShow has published several short lessons in Darija and is one of the best channels on Youtube. You’ll be able to learn the typical Moroccan greetings without too much effort. This catchy music video is a good introduction and also a bit of fun. It forms the basis of every successful conversation and the first four phrases will help you when embarking on a journey to learn the language! The table below has some useful Darija expressions and phrases, giving you an introduction to the language of Morocco. You pronounce these phonetic Arabic translations exactly as they’re written.